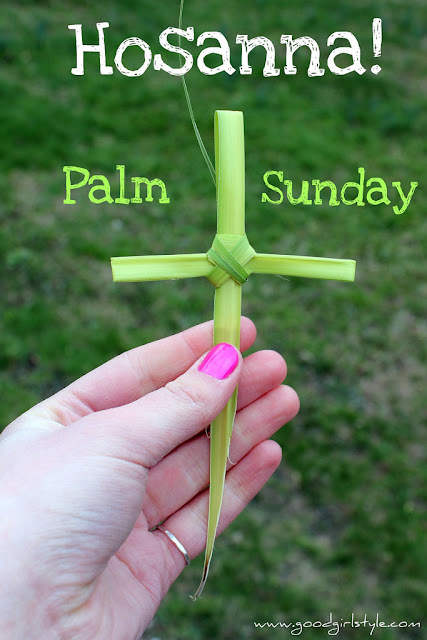 We don't always realize that Hosanna means, "Save us!" The townspeople were crying out to Jesus "Save us!" because they thought he would rescue them from the political oppression they were facing. Not necessarily because they knew he was the Messiah (though they probably thought he was, in some way) but because they wanted something from him. But you know what happened? They weren't impressed. As soon as they found out he wasn't who they WANTED him to be, they scorned him. They mocked him, and, a week later, they shouted, "Crucify him!" I don't think that attitude is dead today. Do you? How many times do we, as believers, and those who are new to Christ, think, "Oh, this Jesus guy, he's something! He's going to give me exactly what I want, and then I'll have a new, shiny, blessed, easy life. Piece of cake!" That is the same as the people of Jerusalem shouting, "Hosanna!" It is an empty cry when shouted with the intent of our own expectations being fulfilled. You see, God doesn't come to give us what WE want, in the way we desire, when we want it; just like he didn't come to save the world in the way the Jews wanted. And sometimes as soon as we don't get what we want, when we want it, we scorn God, too. We can get disillusioned with Christianity, or with the prosperity gospel that is so rampant today. We say, "Alright, that's it! God, you're falling asleep on the job! I'd better take things from here, thankyouverymuch." And I know where that leads. That leads to an empty life on a treadmill of "Fill this empty need inside my soul at any cost." But it needn't be that way. You see, we CAN shout Hosanna, and later, Hallelujah! We can shout "Save us!" because Jesus, in the face of so much scorn and pain and suffering STILL went to Golgatha. He DID save us. And if we accept that life-changing gift- though it will be on Jesus' terms, not ours-we can have assurance that we are saved. Saved by a risen King, pardoned by his broken body that was beaten and bruised for our sins. Wow, sorry, guys, just got a little carried away there. PPS. I did iron these pants this morning, seriously.